PACNY is pleased to present a Preservation Merit Award for the St. Patrick’s Lofts project, which is an exemplary adaptive reuse and renovation of the former St. Patrick’s School in the Tipperary Hill neighborhood on Syracuse’s west side. Built in 1915, the former St. Patrick’s School served the Catholic population of the Tipperary Hill neighborhood until 2006. After considering a wide range of alternatives and options, a creative and innovative plan was selected to reuse this important building. 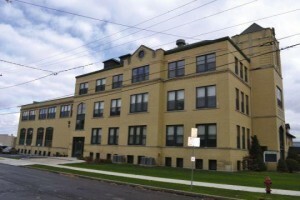 The former classroom space was converted into 22 one and two-bedroom apartments with the rehabilitation focus on preserving the character-defining architectural elements of the school. The gymnasium wing of the School has been converted into the 10,400-square-foot St. Patrick’s Community Center. PACNY would like to thank Gary Thurston of the Hayner Hoyt Corporation, Port City Preservation, Holmes, King, and Kallquist, First Niagara Bank, the Community Preservation Corporation, Onondaga County, and the Syracuse Industrial Development Agency for their contributions to this adaptive reuse project that was done in a manner highly respectful of the original historic features of this landmark building. 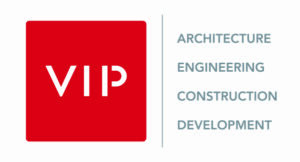 PACNY is pleased to present the Paul Malo Award to VIP Structures, Inc., Center State CEO, Downtown Committee of Syracuse, Inc., and AdaptCNY, Inc. for the Pike Block Project, which successfully and sensitively juxtapose old and new construction, demonstrating respect for our past while building our community’s future. Additional project partners include the New York State Office of Parks, Recreation, and Historic Preservation, the City of Syracuse, Syracuse Industrial Development Authority, National Grid, Onondaga County Save the Rain Program, First Niagara Bank, and the Community Preservation Corporation. 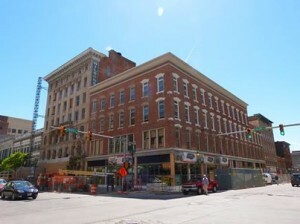 The Pike Block project involves the redevelopment, rehabilitation, and improvement of four highly visible properties listed on the National Register of Historic Places and located in the heart of downtown Syracuse at the southwest corner of West Fayette and South Salina Streets. These buildings have been redeveloped as one cohesive project that includes 68 market rate residential units and ground floor commercial space. The Pike Block Project serves as an inspiration and catalyst for the transformation of the 300 Block of South Salina Street and the continued restoration of Downtown Syracuse as the commercial and cultural core of our region. PACNY is pleased to present the Harley J. McKee Award for excellence in the promotion and application of appropriate preservation technology and fine craftsmanship to Gary Wright of CNY Builder Services. Gary Wright and his crew at CNY Builder Services, LLC exemplify all the best qualities of a general contractor involved in the preservation of Central New York’s historic resources. 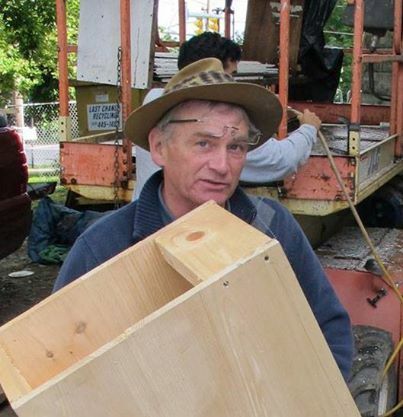 Gary is very thoughtful, skilled, and practical when it comes to completing rehabilitation projects. 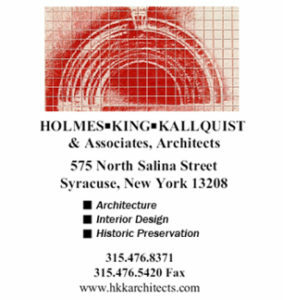 His skills have contributed to the preservation of CNY historic buildings and we all greatly benefit from his expertise. Recent exemplary projects completed by CNY Builder Services include the exterior restoration of the Babcock-Shattuck House, the interior rehabilitation and restoration of the sanctuary at Grace Episcopal Church, exterior restoration of several of the Five Sisters on Park Ave, and the storefront window restoration project at Onondaga Historical Association. We commend Gary Wright for elevating the quality of workmanship in our community and for his overall dedication to fine craftsmanship.